The next time someone laments about the “sad state of sports these days” because of all of the steroid usage and states their desire for a bygone time when athletes earned their bodies and their medals through sheer hard work and determination—laugh at them. In fact anabolic steroids have been used since at least 1700 BCE (that’s over 3000 years of usage); the difference between now and then is that now, our steroids are better and barred from usage in sporting events. When we hear the phrase “anabolic steroid,” we commonly picture athletes taking pills or being injected with sophisticated, performance-enhancing substances. Those are indeed anabolic steroids, but they are really just extremely advanced versions of what athletes were using thousands of years ago. Anabolic steroids are produced naturally within the human body; taking anabolic steroids simply means that someone is adding to their naturally occurring level through outside sources. Steroid usage has been traced to at least 1700 BCE. Of course, back then, the concept of steroids was a foreign one. 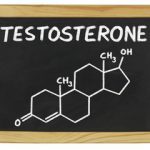 They did not know that when they consumed the testicles of sheep and bulls the reason their performance improved was because of the testosterone present in the testicles—they just knew that it worked. The eating of testicles was a common and accepted practice—there were no repercussions faced by athletes who engaged in it. The ancient Greeks also used substances like mushrooms, strychnine, opium, nitroglycerin, alcohl, and caffeine in efforts to improve their performances. 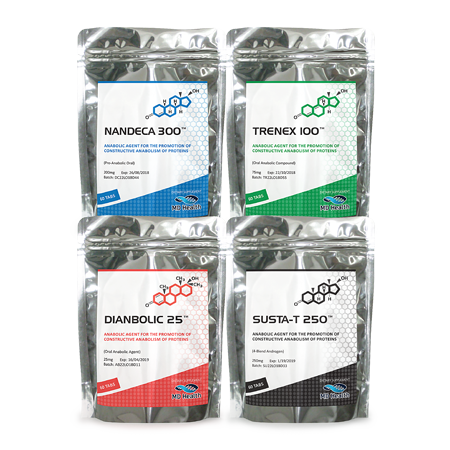 Discoveries made during the 19th century are vital to the concept of anabolic steroids as we now know it. The effects that the testes had on men had long been documented, as church officials had used castration on young male singers to keep them from developing the deep voice of a man and herders had long noticed a difference between castrated and non-castrated animals. They knew that the testes had something to do with the development of masculine traits, but that was about it. This changed in the 19th century. In 1849, Arnold Berthold linked the biological and the physiological changes related to castration to a substance that was secreted by the testes. He discovered this by castrating roosters and implanting their testes into their abdomen. Once implanted, he noted that the roosters did not develop any of the characteristics usually associated with castration, leading him to conclude that the testes affected masculinization by secreting a substance into the bloodstream, as the testes were no longer connected to nerves. For many, the 1930s is where the history of steroids truly begins, as it was during this time that the most significant advancements were made in the study of testosterone. The hormone was first isolated by German scientist Adolf Butenandt in 1931. After analyzing more than 25,000 liters of urine provided by the gentlemen of the Berlin police, Butenandt was able to extract 50 milliliters of the substance. (For those not good with math or conversion, 50ml. equals .05 liters, meaning that Butenandt found a quantity of testosterone that amounted to less than 1% of the total urine collected.) Because males only contain a minute quantity of testosterone, this is hardly surprising. In 1935, Ernst Laqueur, Karoly Gyula David, E. Dingemanse, and J. Freud reported that they had created synthetic testosterone, as had Leopold Ruzicka and A. Wettstein, who were working separately from the first group. In 1939, Ruzicka Butenandt were offered the Nobel Prize in chemistry for their efforts, but Butenandt was forced to decline the honor due to pressure from the Nazi government in power at the time. 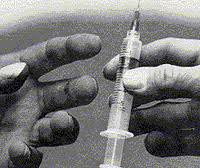 The late 1930s saw the first injections of testosterone being performed on human subjects. Funnily enough, in the beginning, testosterone was marketed as a cure for sexual dysfunction, particularly impotence. 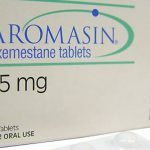 In United States, claims were soon abounding that testosterone helped with circulatory problems and nervousness in addition to impotence and decreased libido. During WWII, testosterone was used to help malnourished soldiers gain weight, improve performance, and, some say, increase aggression. One man, Paul de Kruif, claimed that when patients were treated with testosterone to cure “midlife melancholy,” they “grew more strong-thinking and less sissified.” After the 1945 publication of Kruif’s book The Male Hormone, which espoused the performance-enhancing abilities of testosterone, the substance began to attract attention from bodybuilders. In the beginning, one of the places where steroid usage and research really took off was in the Soviet Union, where it became commonplace. During the 1940s, the Soviets dominated athletic events. It is believed that the first appearance of anabolic steroids at the Olympics occurred in 1952 at the Helsinki, Finland Olympics where the USSR, in its first Olympic appearance, came away with 7 weightlifting medals and 71 medals altogether, with 22 of them being gold. Two years later, the USSR would put up a similarly impressive showing at the weightlifting championships held in Vienna. 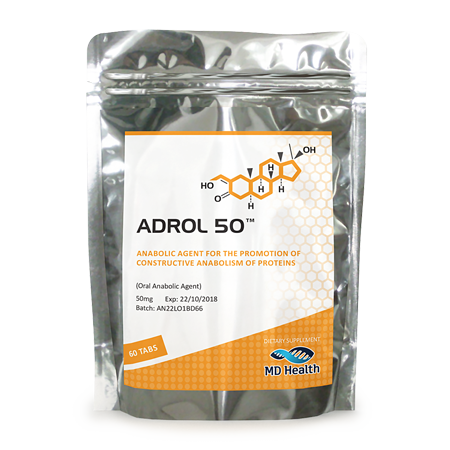 In 1958, the first commercially available anabolic steroid was released in the United States, under the name Dianabol. 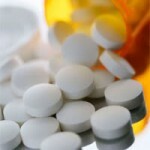 Use of performance-enhancing steroids soon became common in the United States and across the world. By using steroids, US athletes were able to close the gap between themselves and the Soviet athletes. Dianabol then went on to become one of the most popular and used oral anabolic steroids in existence. Year after year, better and more potent anabolic steroids were created. At the 1972 Olympics, super-heavyweight lifter Ken Patera said the only reason he had lost a match to USSR lifter Vasily Alexeyev the previous year was because he “couldn’t afford his [Alexeyev’s] pharmacy bill.” He told reporters that now that he could, the world would see whose steroids were better. Somewhat shockingly, the IOC (International Olympic Committee) had nothing to say about Patera’s statement, however, in 1976 they outlawed the use of anabolic steroids in competition (despite the medical community’s insistence that anabolic steroids had no effect on athletic performance) and started drug testing. Ten years later, the IOC started drug testing athletes during the off season. In the United States, anabolic steroid usage was largely permitted and uncontrolled until after 1988, when, during the Canadian Olympics, sprinter Ben Johnson won the 100 meter dash and then tested positive for Winstrol, an anabolic steroid. This scandal sparked congressional hearings and ultimately resulted in anabolic steroids being included under the Controlled Substances Act, which removed the freedom to purchase anabolic steroids without a prescription. Interestingly enough, during the congressional hearings, the American Medical Association, DEA, FDA, and the National Institute on Drug Abuse opposed putting anabolic steroids under the Controlled Substances Act, but their opinions were ignored. In 1990, Congress went even further with the Steroid Control Act, which made the possession, buying, and selling of anabolic steroids a criminal offense, unless one had a prescription. This act was updated in 2004. Currently, a cat and mouse game is still played between athletic legislating boards and athletes looking to boost their performance with new drugs being made available as fast as governments and committees can outlaw the old ones. Cesar.umd.edu, Anabolic Steroids. 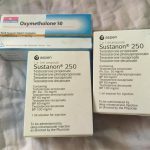 Available from: http://www.cesar.umd.edu/cesar/drugs/steroids.asp. (Accessed 22 October 2014). Freeman, Erica R., David A. Bloom, and Edward J. McGuire, “A Brief History of Testosterone,” The Journal of Urology Vol. 165 pp. 371-373, February 2001. Available from: http://www.mastersmensclinic.com/history_of_testosterone.htm. Massimino, Ferdy and Robert E. Sallis, eds. Essentials of Sports Medicine. St. Louis, MO: Mosby, 1997. McComb, David G. Sports in World History. New York: Routledge, 2004. McLaren, Angus. Impotence: A Cultural History. Chicago: University of Chicago, 2007. Nelson, Randy J. Biology of Aggression. New York: Oxford University Press, 2006. 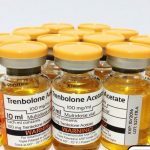 Steroidal.com, History of Anabolic Steroids. 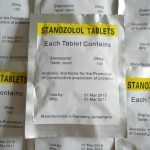 Available from: http://www.steroidal.com/history-anabolic-steroids/. (Accessed 22 October 2014).